Breaking Traditions: Princess Diana’s Short “Dos” and Modernizing the Monarchy. 31 Oct Post by Jamie Ludwig Filed under Icons & Inspirations, The Gorgeous Lifestyle. Tagged Princess Diana. With the upcoming November 1 release of Diana, the Princess Diana biopic starring Naomi Watts, there is no better time to induct the late British princess into the Salon Buzz series of Style Icons. Born Diana Spencer to an aristocratic family, Diana was only 20 years old when she married Prince Charles in a glamorous wedding that was celebrated all over the world. In an instant, her relatively modest life was over, and she was forever thrust into the limelight and the restrictions that came with being British royalty. The world watched as Diana emerged from a shy, demure girl, into a true leader and a model of dignity, compassion, and style-under-pressure. She rebelled against tradition and modernized her station as princess, omitting the words to “obey her husband” from her wedding vows, and becoming the first British royal to be photographed in jeans. Her trademark shaggy “schoolboy” haircuts also defied convention, and wound up becoming one of the most popular hairstyles for women throughout the 1980s. Although on the outside it seemed the stylish Princess was living a fairy tale life, she struggled with a difficult childhood and marriage and ongoing issues with self-esteem and bulimia. Rather than let anything hold her back, she became even more beloved and relatable to the public by frankly opening up about these very common issues rather than sweeping them under the rug. The world was dazzled as she let her strength and inner beauty shine by dedicating her time to her two young sons and many then-controversial causes, such as the burgeoning AIDS crisis. 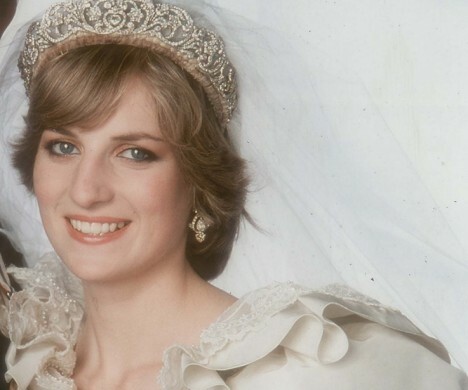 Much of the world was introduced to Princess Diana on her wedding day in July of 1981, a breathtaking affair at St. Paul’s Cathedral in London which was heralded as “the wedding of the century.” Diana’s sideswept bangs and face-framing soft layers beautifully set off her blue eyes and bone structure. 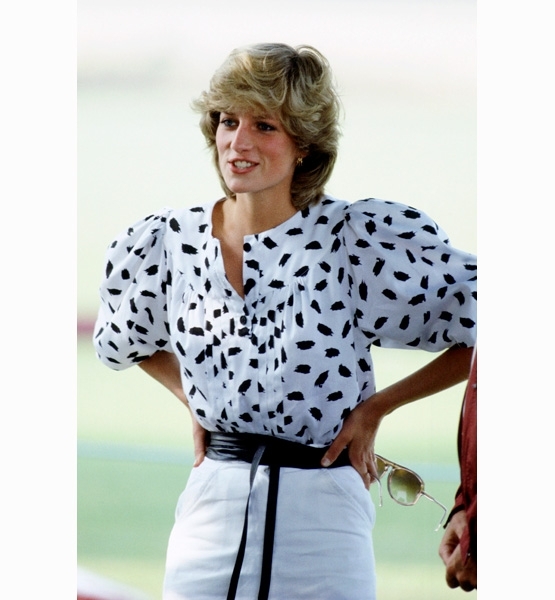 Throughout the several years the Princess’s signature look, dubbed “the Shy Di,” became a must-have look, and was replicated by everyday women as well as movie stars (remember Melanie Griffith’s newly-cropped locks in Working Girl?) and was even voted in the top 20 of “The 100 Most Iconic Hairstyles, Ever” by Glamour Magazine. Uniquely, Princess Diana’s most casual looks became as memorable as her most formal, arguably because the princess felt most herself outside of structured events. In this 1986 photo, the princess radiates calmness and beauty, under her thick, lightly feathered hair. In the mid-1990s, Diana once again broke tradition by divorcing Charles in 1996 after speaking out about his ongoing adultery. Her self-confidence and beauty emerged stronger than ever at this time in a chic, sleek new look, and hairstyle to match, both exemplified in this photo from her 1997 birthday party. Diana’s polished, much lighter blond look was recently recreated for the film. There’s no denying the real-life Diana’s magnetism, grace, and iconic appeal. For anyone who has ever felt constricted by circumstance or others’ expectations, she’s the ultimate reminder to follow your heart, lead by example, and put your personal style and stamp on everything you do.